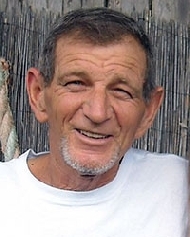 William Billy Bob Hillis obituary. Carnes Funeral Home. I am so sorry to hear of your recent loss. I too have lost many loved ones to this disease, and I know the pain that is experienced when you lose someone you love in death. May you find comfort in the promise found at Revelation 21:3-5. Xavier M.
WILLIAM (BILLY BOB) HILLIS, 54, passed away November 22, 2014 in Pasadena, TX after a 10 month battle with cancer. Born in Orlando, Florida, he was the son of Georgia Eastmead and Richard Hillis. He was self-employed and worked repairing and refinishing boats. He enjoyed sailing and friends around the many marinas he worked. He will be remembered for his kind heart and always thinking of others. He is survived by his son Zachary L. Hillis of Ft. Lauderdale Florida, his Sister, Wanda L. Opre and her husband John Opre. His Sisters, Diane Hillis, Vicki Liso and her husband John. Brothers, Ricky Hillis, Harrell Hillis, Darrell Hillis and David Hillis. His also survived by his longtime friend and sailing buddy Dr. Christopher J. Logothetis. He is also survived by numerous nieces, nephews and great nieces and nephews. He was preceded in death by father Richard Hillis, Mother Georgia Stanley and Step father Marvin Stanley. Billy Bob chose to donate his body to science and there will be a memorial at a later time with family and friends. Memorial donations in lieu of flowers may be made to the The University of Texas MD Anderson Cancer Research Center.